Summit County offers many types of transportation for your wedding needs. 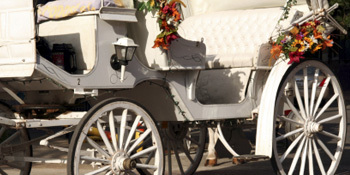 After you walk down the aisle, be swept away in a beautiful horse-drawn carriage or sleigh. For a more traditional departure, indulge in a classy, elegant, limousine. For added convenenience & enjoyment for your wedding guests, consider shuttles or charter rentals to provide their ceremony, reception & lodging transportation. Sorry no Weddings & Wedding Transportation items in Breckenridge, CO but Click Here for more items nearby.